 If you want to be in the know about what’s going on at STAIR, you’ve come to the right place. New Orleans, October 8, 2018 – The Board of Directors of Start the Adventure in Reading (STAIR) has announced the appointment of Shannon McCloskey Able as its new Executive Director, effective October 15. Shannon has a wealth of nonprofit and volunteer leadership, communications experience as well as organizational, relationship building and strategic planning skills. As a native New Orleanian, she is acutely aware of the New Orleans educational system and its challenges. Shannon served as President of the Junior League of New Orleans in 2015-16. In addition to her daily responsibilities as President, she developed programs and leveraged volunteers to meet the needs of the community. In addition, she worked closely with the Board and was the face of the organization to all key stakeholders and in the media. Shannon oversaw all grants, fundraisers and investments to ensure the financial success of the organization. Most recently, she chaired the very successful American Cancer Society Belles and Beaus Ball. Since 1985 Start the Adventure in Reading (STAIR) has served more than 7,500 at-risk children from public elementary schools throughout the New Orleans area. Each school year, STAIR matches children with one-on-one volunteer reading tutors at no charge to their families or schools. To learn more about STAIR, please visit www.stairnola.org. New Orleans Saints reveal of My Cause, My Cleats on November 28, 2017 for December 3 game against the Carolina Panthers. There is more information here.